Having landed safely in Los Angeles (thank you to the competent pilots and airline staff), I headed to a nearby hotel for recuperation from the long flight. My overnight stay at the hotel was pleasant (thank you to the hotel staff). To end the recuperation, my husband and I headed for Venice Beach and enjoyed the views of the water, trees, and people (thank you to LA municipal services). The pleasant beginning of my time in the States made possible by many, many people. On the plane, the water was served in disposable cups. The meal was served on disposable plastic and the various components of the meal were wrapped in paper or plastic. Small snacks were provided in foil and plastic. The tea and coffee required disposable cups, milk and sugar in disposable packaging, and disposable stirrers. Throw-away items for a productivity-demanding society. At the hotel, breakfast was served on styrofoam plates and bowls. Beverages were served in cardboard and styrofoam. Plastic containers for food items were in large supply. 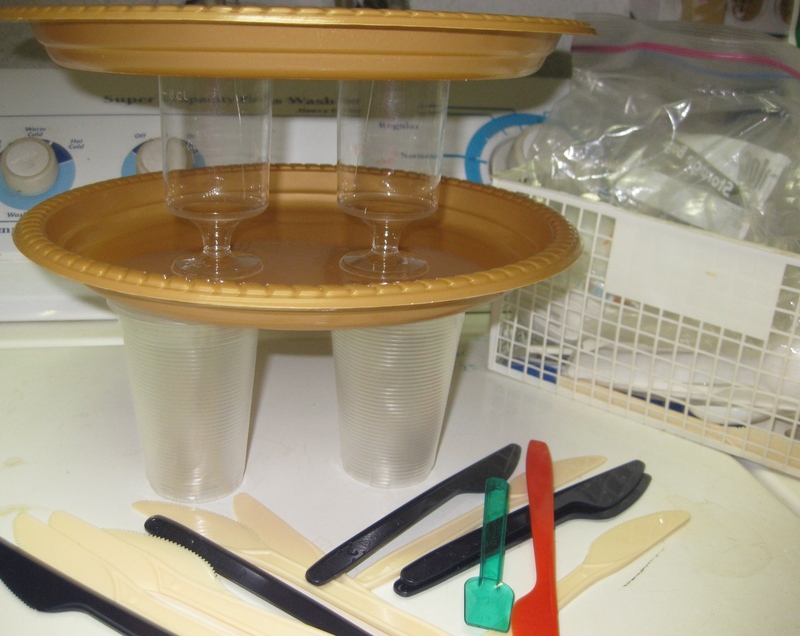 Throw-away items for a quick and staff-reduced feeding. At Venice Beach, disposables were in view everywhere: in the shops, in the food dispensaries, and on the beach. The large smoothies we bought were served in plastic glasses with plastic lids and plastic straws—even though we were drinking them in the cafe. Waste galore for a few hours pleasure. Since arriving here, I have been served plastic, cardboard, and styrofoam in restaurants, in stores, and in peoples’ homes. Ease and more ease for an ease-demanding society. This post is simply pointing out the phenomenon of disposability in our world. No lessons being dispensed by Spiritual Presence, just more awareness. A reminder of living today. I guess this teaches us that even when the obvious is disappointing, we can still turn our focus to the beauty of the Pacific Ocean. 90% – 10%. I have a wonderful teacher.